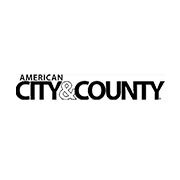 In the January issue, American City & County unveils its feature series: Future Forecast. This month’s future forecast? Government technology. We reveal our new offering: the addition of Government Product News. American City & County is proud to showcase 2014’s Crown Communities Awards winners! In the Dec-Jan issue of Government Procurement, NIGP members cover topics like procurement authority for public entities, how an agency can move from tactical to strategic procurement and how to overcome procurement’s transformation challenges. In American City & County’s November issue, we reveal our 2014 Municipal Leader of the Year; Derek Prall examines the dangers of public works professions and the perks of modern parking policies, and Rochester, N.Y. shows how the city is going from brown to green. In the American City & County October issue, Assistant Editor Derek Prall examines The Social Soapbox – how social media is giving grassroots candidates a fighting chance, Managing Editor Erin Greer channels her Mother Monster in living for the applause, and Robert Barkin explores how local governments are finidng innovative ways to work within the Affordable Care Act (Obamacare). Also featured – making the economic case for restoring historic theaters and how Phildelphia is benefiting from the expertise of immigrants. In the Oct/Nov issue, NIGP members cover standards: why public procurement and NIGP are important, obligations with requirements contracts and finding a holistic approach to supply-side management. In the cover story, Matthew W. Quinn delivers the goods on the co-op purchasing survey. In the September issue, American City & County explores finding harmony in public-private partnerships and congratulates Columbus, Ga., for its actions to combat euthanasia rates. In the August issue, American City & County announces its Public Works Leader of the Year, Los Angeles County’s Gail Farber. Managing Editor Erin Greer opines on the municipal implications of a Spike Lee joint, interviews Emmy-winning documentarians Ken Burns and Geoffrey C. Ward, and highlights Ready Houston’s disaster preparedness programs. Assistant Editor Derek Prall highlights noteworthy mayors. In the August/Sept. issue, procurement professionals discuss defining savings to show value and working with potential bidders to improve outcomes. In the July issue, American City & County explores “Transportation at the crossroads: how money, millenials, technology and sustainability are driving the future.” Derek Prall discusses drives for municipal tourism, and Tom Daniel explains how Gloucester, Mass., is partnering with Japan.